I have been fascinated with outer-space and astronomy since I was a little kid. So when I had a chance to teach students some astronomy at a summer camp, I totally geeked out. Truth is, I’m still geeking out, because I have a great view of two planets from my house. 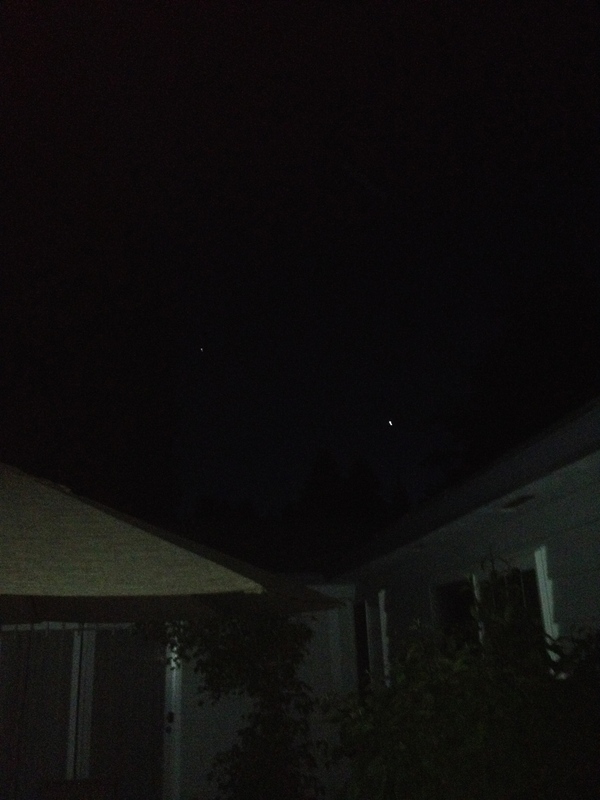 Venus on the right and Jupiter on the left.